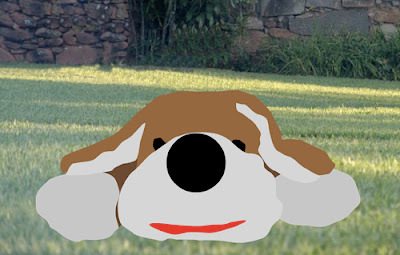 Starting to work on a game for children… a simple tamagochi where the character (a dog) on-screen asks to be petted… a real stuffed animal with switches will then know if the child has petted the right place. Now I have to add switches to the rest of the stuffed animal and create a more interesting (and pretty for that matter) dog on screen which will to be petted and point to where it wants to be petted. looks cute, but didn´t bark or move!